yes pretty amazing to hack an old watch like this. awesome ! I really like your software. you even made a simulator. I have just triggered a pcb order at elecrow. I'm kean to edit the pcb and add a pressure sensor to get even more smart readings from it. would be a nice feature to watch the weather. are you working already on an bootloader / update implementation? We're working on getting the the IR receiver running for firmware updates and loading OTP secrets. Don't have too high expectations, firmware updates will take several minutes since the IR receiver only does 1kBit/sec. I'm not sure whether a pressure sensor will work through the rubber gasket. Also take a look at the "mech" directory, there's an inkscape document for verifying that all components fit inside the plastic frame. great to hear, I'm very curious about what you will push next ! is the plastic frame yet imported as a kicad layer ? I think, if at all the case is tight for water, but not for air. I'm really in love with the imagination of having a barometer at my wrist. My ordered PCBs from elecrow arrived. there are 23 of them in the batch. if you want one, will will send them to you in exchange for the shipping cost. I'm located in germany. First of all, great and amazing project! Anyway, I saw on github that you had tried to use the DB36 which has a dotmatrix + segmented display, do you think that aside from contrast issues, the dotmatrix could be driven with this MCU? I got interested in this sort of hack after seeing yours, so I don't know anything about driving LCDs, but being able to drive a dotmatrix would be great to graph barometric pressure like @ptr suggested. This is fantastic!!! I've been wanting to do this with a casio watch for awhile, but have just never put a project together. 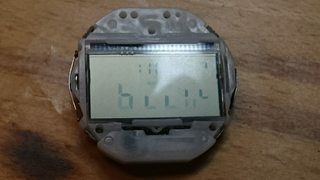 Part of me wants to try to retrofit an oled or led segment style display in a casio watch shell too. 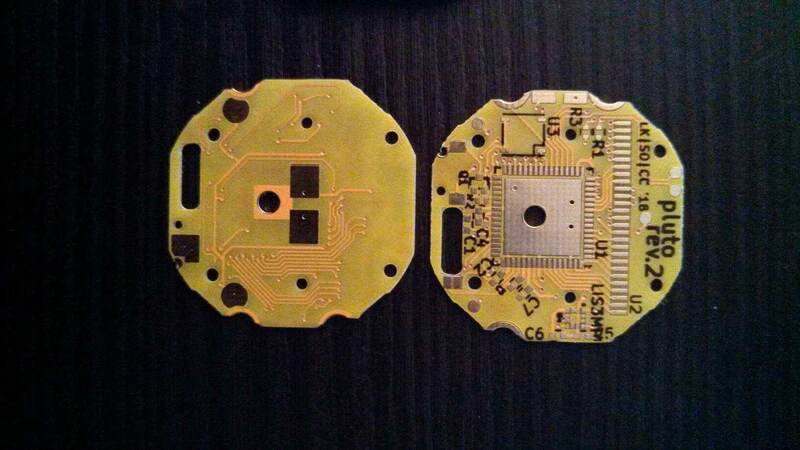 Are you going to sell these pcb's as a completed item? 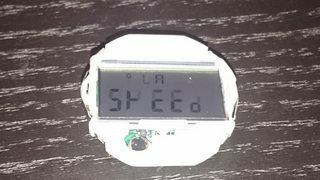 Not sure if you saw @ptr's comment here http://www.eevblog.com/forum/oshw/diy-watch-based-on-the-casio-f-91w/msg967498/#msg967498 but he has boards, unpopulated AFAIU. As I wrote in the README, the problem with the Casio LCDs is that they require 5Vpp for any reasonable contrast. The MSP430 only can do approx. 3.6V. Thanks for your reply Lukas. 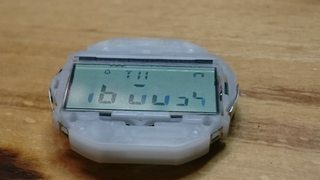 Yes, I had read the README, but it said "Best guess: These watches are old designs, LCDs weren't that sensitive back then", yet the F91W should be pretty old as well, right? Would it be a good guess that you did not bought the W800, F201 and DB36 (mentioned in the README), but that you had some in hand, and that's why you are saying "they are old designs"? Was the F91W old as well? Or did you bought it new? Located in UK, any chance you still have some spare? I have very bad contrast and viewing angle, only visible from below. A lot of lcd segments don't work. Is this bad solder joints on the mcu? It's my first time doing smd soldering, although I used stencil/solder paste & hot place. I've cleaned the board with isopropyl alcohol, so I'm fairly certain it's not just flux on the lcd pads. My best guess is that it's bad soldering. You should see some non-DC waveform on each LCD pad. Also make sure that all of the metal latches are engaged. It's easily possible to solder thin wires to the pogopin pads and run them through the holes in the frame. That's how I programmed/debugged the watch before my pogopins arrived. I started over with a fresh PCB. I also reused the led this time. It's legs raise the led a few mm above the pcb, giving a much better backlight. Sadly, I still got some issues. The time display is perfect, afaict all segments light up ok.
Looks great! Did you use a F-91W for donor watch?I'm wondering, since I haven't seen frames with a cutout for the inductor yet. Yes, I reused the inductor, backlight led, and speaker spring. And of course the loose components such as frame/lcd, battery connector on the back. The inductor's leg came loose when desoldering, which is actually not a bad thing as it touches the transistor and it's difficult to place properly. I still have an issue with the magnetometer. If I go to compass, the UI hangs. Once I have my pogo pins I hope to do some debugging. I'm guessing it's bad soldering, I really should've placed the IC's first and then the passives. The magnetometer is rotated 90° CCW, right? The line underneath the markings is supposed to be facing left? It's not entirely clear from your photo. Yeah, the laser marked bar needs to be on the MCU, i.e. left side. My best guess for the I2C crash is the SCL line being stuck low, since the I2C master waits for SCL to go high for clock stretching. EDIT: You may also use the debugger to see where the MCU gets stuck. Curious how low you were able to get actual current usage down to? So, based on 1 year on a battery life and assuming the battery is a CR2016 with ~90mAh capacity, does that mean you are keeping the LCD and low freq osc running with <10uA? 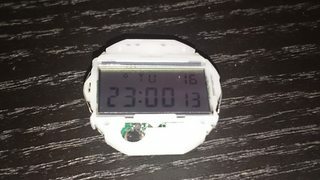 I keep the LCD, RTC, crystal, and one timer active all the time. Current consumption is definitely less than 10uA. It wasn't that hard after all, just spend as much time as possible in LMP3 and don't forget to set unused pins to output. Be cool to see this modified to fit the DW5600 case, which would be more durable and aesthetically pleasing among other things.